When you really think about it, the MLB All Star game has gotten complicated – and a little confusing. In some ways, the game and the festivities (such as the Home Run Derby) are a lot of fun. 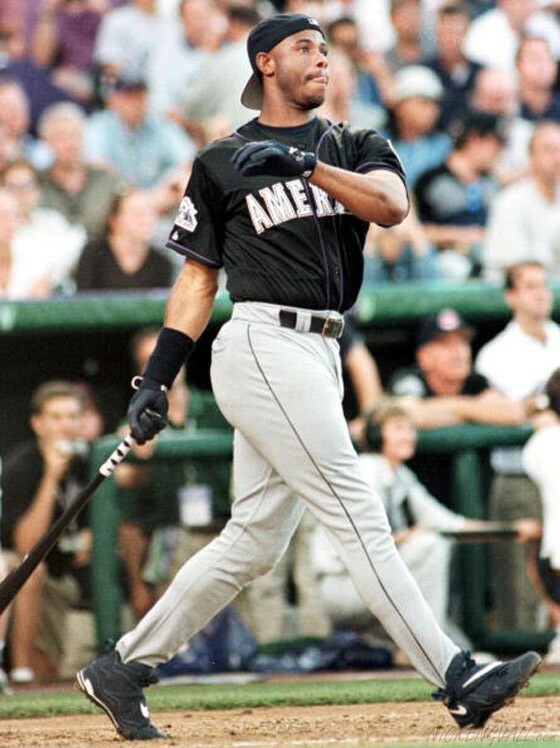 I always think of Ken Griffey, Jr. in the Home Run Derby, standing in the batter’s box with his hat on backward, while the other all stars sit on the foul territory grass (often with their children) and watch. Or Cal Ripken’s last ASG when Alex Rodriguez made him move over and play shortstop one last time. But in an attempt to build excitement around the game (and hopefully recruit more fans), things have become a little more serious. The game actually counts for something (the winning league earns home field advantage in the World Series). The fans, players, and managers all choose the all stars. There are scheduled releases for vote totals and hour long shows dedicated to announcing the all star reserves. So which is more true? Quite honestly, I think the All Star Game is having an identity crisis. I don’t know whether this game is meant to be a fun break or another important game in an already long season? If it were up to me, I would make the entire All Star break fun – for the players, the fans, and even the coaches/managers. Yes, baseball is a business and it is the job of all the players (even if they’re being paid ridiculously well) to play 160+ games a season. But remember, baseball is a long, difficult season – there are few true days off during the season (some are travel days) and most, if not all, of the all star position players are playing nearly every game during the season. And long before they were ever professionals, they were fans too. Let it just be fun. Of course, it’s not as simple as that. There’s a lot that goes into the ASG to take into consideration. First – the where. As is typically the custom, alternate between American League and National League host cities. There is really no need to have a league host back-to-back seasons. At times, the ASG is more than just a game, but recognition of a new park, or an anniversary at an existing park – these things don’t sneak up on you. New stadiums aren’t constructed overnight and special anniversaries don’t happen in unusual years. Plan ahead! Next – the who. In my opinion, it’s absolutely fitting the managers of the World Series teams are the managers for the ASG (even if they are no longer with that team). They will likely chose a coaching staff from their own team, and that’s also okay. Without managers & coaches, the team wouldn’t make it to the World Series. If that manager and coaching staff was successful enough to lead a team through the post season, it makes sense they might be successful in the ASG too. I’m a big supporter of fans choosing the starting position players. We all think we would be a better manager/GM than our team’s, so why not let us has this small taste of it? If MLB is so set on players choosing other players, they should be able to chose the pitchers: they know better than anyone who is the most difficult to hit. Fans could, however, help chose the starting pitcher. Of course there will be limitations on who can pitch depending on when they last threw, but if it’s narrowed down to a few potential starters, let fans vote. We already think we know better than the managers do anyway. The managers should still be allowed to chose the reserve players. And…get rid of the final vote! It’s just annoying. How would you like to be the guy who got picked last? And half the fans can’t figure out how and when to vote – hashtags mean nothing until Friday, people!! That being said, fans and managers will have a tendency to vote for their favorite teams’ players – which is not wrong, but it’s not always right. Fans, when you vote…use your head. There is always that one guy on your team who is not as good as the others – so don’t vote for him! Just because he wears the same jersey doesn’t mean he’s the best at the position. I didn’t vote for Stephen Drew, and the millions of Royals fans who appeared out of seemingly nowhere should not have voted for Omar Infante! The game – the big what. As I said before, just let it be fun. Give the millionaire baseball players one game to just go out and have fun. Once upon a time they were all little boys playing for fun – it just happened they were all insanely talented and it became their jobs. One game out of 160 (give or take) without any pressure is really not so bad. Let them enjoy the experience of playing with and being among the best of the best in Major League Baseball, even if the final score is 17-14 or something equally as ridiculous. Do not make the game count for anything other than bragging rights. While it certainly adds drama and makes things more interesting, awarding home field advantage to the winning league will not always be the fair and right thing to do. Imagine a scenario where a team has the best record in baseball – no one else is even close – and they go to the World Series, but the other team – a Wild Card team that barely made it into the playoffs at all – has home field advantage. It would only be worse if one (or even both) of the team’s players had little or no involvement in the ASG – but rather the World Series is dependent on one game in July that had nothing to do with them. Of course, this would be rare, but I can’t imagine many fans of the first place team being pleased if it happened just once. Personally, the All Star Game has a special significance for me because it was (in 1997) the first baseball game I watched – by choice – start to finish. Admittedly, it’s because they were playing in my home city (Cleveland), but I remember it being such a fun game to watch. Each year year during the ASG, I think of that game and count how many years it’s been since I started watching baseball. It’s a great way to see a mix of the best players in each league having fun, playing with some new (or old) friends for one game only. As an intelligent (I hope) baseball fan, I have no complaints about the players chosen as starters or as reserves. Even if they weren’t my first choice or not on my favorite team, I can recognize good baseball talent, and the AL has a lot of great players on that team. Happy (almost) All Star break, everyone!…and go American League!! Just over twenty-four hours ago, I wrote that I didn’t have appropriate words to write a tribute to Derek Jeter. I was able to write a little something personal about what his career meant to me, but it was nothing special. There are a million other people out there who could write far better tributes to a legend than I can. But here I am again, writing about the same guy I couldn’t write about yesterday, because he played such an emotional final game in New York I couldn’t possibly ignore it. Prior to last night’s game, I never thought any player could possibly top Mariano Rivera’s exit from the game a year ago. There was perfect weather and a wonderful ceremony for Mariano Rivera Day. A few days later, he was pulled from the game by his friends Jeter and Andy Pettite in a fitting end to his career. The whole experience, in my opinion, was perfect. I believe in God, and I believe all things happen for a reason – and I believe God blessed Mariano Rivera in 2013 with such a beautiful final series and exit from baseball. Jeter’s last game looked like it might end up a disaster. Rain hit New York all day and was expected to go all night. There were doubts as to whether the Orioles and Yankees would even be able to play. The same rain storm hit DC the night before, cancelling the Mets and Nationals game I had tickets for. It didn’t look promising for Derek Jeter’s last game in the Bronx. Looking back, there’s no doubt that God blessed another departing Yankee. Joe Girardi said he had planned for Jeter to walk around the field, eventually joining former teammates to leave the field for the last time. It would be a symbolic way for his friends, who he considers his brothers, to say “the end is here, it’s time to come with us.” That ending would have been beautiful, and undoubtedly Yankee fans would have loved it. Some fans speculated that Jeter’s parents would somehow pull him out of the game – very fitting for the two who raised him, and who have been through every game of his life right along with him. But neither was meant to be. Hiroki Kuroda (in maybe his last game ever?) started out by giving up two solo homeruns in the top of the first. Luckily, the Yankees answered right back and scored two runs of their own in the bottom of the first. Kuroda somehow goes on to pitch a magnificent game, as though it was completely normal to start a game by giving fans a heart attack and then be untouchable the rest of the game. The homeruns go to right, and right center. Seeing Ichiro Suzuki in right field, I can’t help but wonder if this is his last game too – or maybe just his last game in pinstripes? He needs less than two hundred hits to reach 3,000 career hits in the MLB (not counting his hits in Japan). Does he call it quits now or make a push to reach that milestone? But that’s a thought another thought for another day. We all know the rest of this story – even if you weren’t watching the game you have heard the rest of the story. Admittedly, I am a big fan of David Robertson, I think he’s done great job trying to replace the world’s best closer, and I want him back next season. As he gave up the two homeruns, blowing the save and potentially costing my team the game, I started to feel unsure about that. But that inning – the walk to Nick Markakis, the homeruns by Adam Jones and Steve Pearce – were meant to be. David Robertson was meant to fall apart on the mound. As pissed as Yankee fans were about Robertson “ruining” Jeter’s last game, their glimmer of hope was that The Captain would bat in the bottom of the 9th for (maybe?) one last time. We don’t know if we’re going to extra innings for bonus Jeter or not. Maybe he’s got a little more magic for the Bronx? And as it goes, Jose Pirela hits a single. Antoan Richardson is the pinch runner who moves to second on Brett Gardner’s double, then scores the winning run on Jeter’s base hit. Ballgame over – history made. More significant than Jeter’s hit – and it was a fantastic one! – was Richardson crossing home plate safely. Obviously he needed to score the run for Jeter to have the game winning RBI. But, I live in Orioles territory, have seen many Orioles games this season, and I thought for sure Richardson would be thrown out at the plate – because of Nick Markakis. Richardson certainly had the speed to make it – otherwise he wouldn’t have been the pinch runner – but Markakis has a cannon of an arm in right field. The throw he made to the plate was just about in time, but just a little off target up the third base line, and was merely average. I don’t consider Nick Markakis an average right fielder. (I’ve seen him throw runners out at the plate from a lot deeper.) I do not believe Markakis slacked on the play at all – but the throw wasn’t meant to be a typical Nick Markakis defensive throw. The rain stopped. 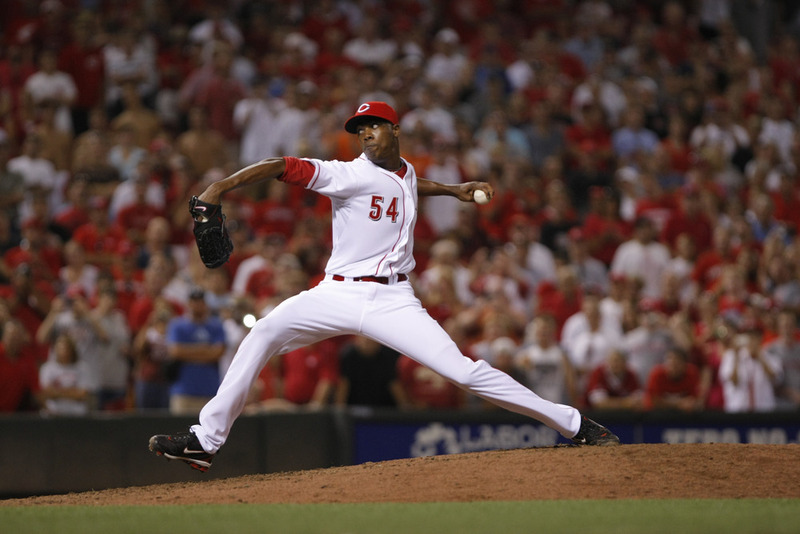 Robertson blew the save. Jeter hit a single. Markakis’ throw was uncharacteristic. Richardson crossed home safely. Say what you will about the events that happened, but I believe it was a force bigger than anything on earth. If you ask, it was an act of God that so many things should line up so perfectly. No one could have scripted a better ending to Derek Jeter’s career in pinstripes, in the Bronx, and at shortstop.